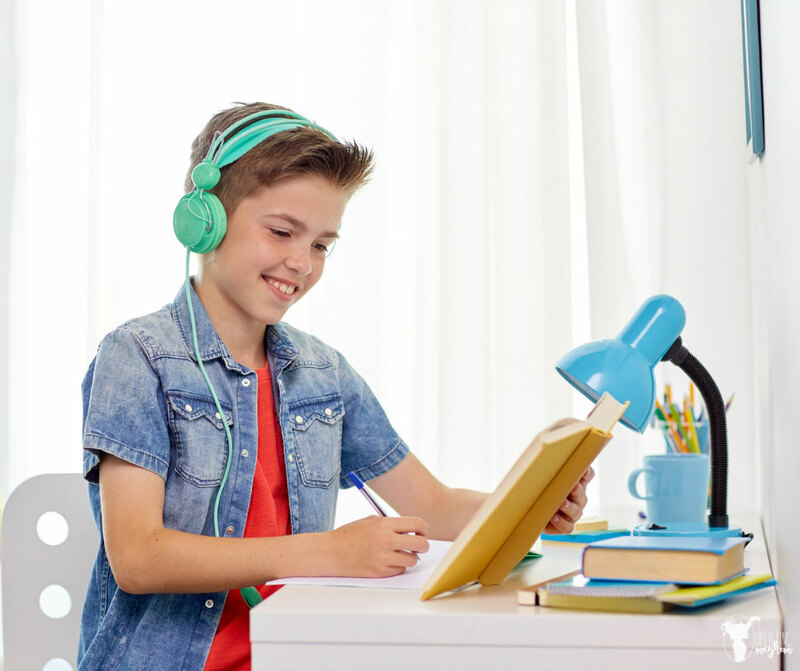 I have found through personal experience, homeschooling my 5 boys, that interactive spelling activities are much more effective than spelling lists. I learned this after giving my boys lists to write everyday with no improvement and lots of whining! One day I took them outside and had them ride their bikes off of a jump after each word they spelled correctly. I was amazed the next day when they would spell those words correctly that we went over the previous day. 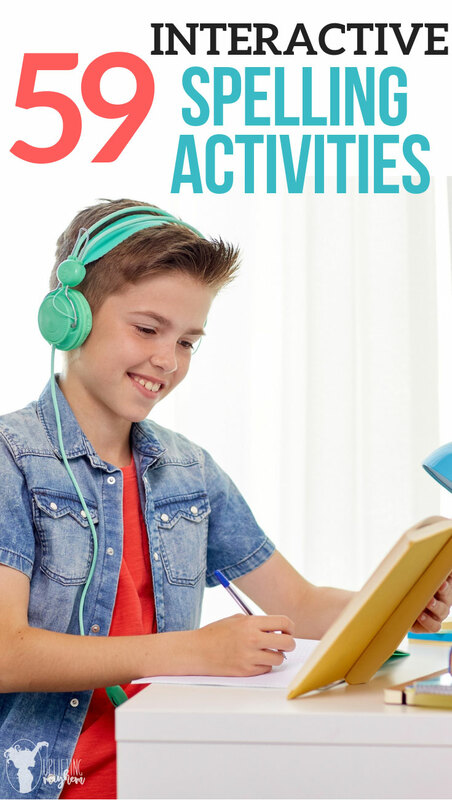 When your child is moving and doing an activity while learning, they are using more than just the part of the brain that listens while sitting in class as they write a list of words. Doing an activity gets their mind engaged which create more opportunities for the mind to remember what they are learning. Over the past couple years I have come up with different activities I have used with my boys. This post specifically focuses on spelling words, but you can use any of these activities for any aspect of learning. It really is a powerful tool. This is fun to watch their faces light up when their word appears. You can find all sorts of fun pointers at the dollar store. This is my 6 year olds FAVORITE thing to do! Seriously! Have them write their word on a thin slice of paper, tape it between two chairs and let them karate chop it. So funny! Songs are great ways to memorize things. My friend does this with her girls. They love to dance, so they create dances to help them remember things. Write your spelling words on pieces of paper and flip them like a pancake with a spatula and write the word again on the other side. This is fun to watch! Gives their brain a workout! This works great with multiple kids. While one is going off the jump you can work on the next kid. 10- Spell words as they are riding a ripstick/skateboard/wiggle rider in a circle. Taking a lap works wonders on kids and improving their attention span. This is great to get in the extra practice too. 12- Write the spelling word on a paper airplane and throw it to someone else. We use this activity for so many things, and spelling words is a favorite. They write one word and throw it, the other person writes their word and returns the throw. 13- Put a piece of scotch tape on a frisbee and write the words on the tape. Throw the frisbee to your mom or partner after you spell each word. 14- Put on some boxing gloves and punch the air for each letter you spell. Or if you have a punching bag you can punch the punching bag. 15- Use a dry erase marker and spell the words on your windows. This has become a new favorite! There is something about drawing on a window that the kids love. My boys love these letter stamps and doing their words in Play Doh. So fun! 20- Draw the outline of the shape of the word and fill in. This take a little bit longer but can be done every once in awhile. These stamps from Melissa and Doug are awesome! Spell the word and throw bean bags at a target. Another variation is to write your child’s spelling words on papers and tape them to the ground. Have your child toss the bean bag onto one of the words. Whatever word they land on, they write. I like to put them on the stairs so they are hopping up as well! I have a son that lives and breathes legos! This is totally his thing. I give him his list of words and he goes and build them with his legos. These are a fun change that my boys love to use! This boogie board you can place over anything and trace words or write on lined paper. Pretty cool! There are a lot of stickers out there of the alphabet! I wouldn’t do this all the time, but would be fun every once in a while. If your child is an auditorial learner this is a great activity for your child. Using small cups or blocks write the alphabet on them and spell and stack the words. Of course the best part is knocking them down. Spell the words onto sticky notes and place them on the wall. Read, spell and shoot each word with a nerf gun. Spell the words on different balloons and hang from a ceiling. Read, spell and shoot each word with a nerf gun. You can play this game just like you would traditionally, and with each hop have them spell their spelling word. They love it if you play with them! Join in the fun mamas!! You can draw it on the sidewalk with chalk or play inside on this nerf gun. 35- Jump on a pogo stick as you are spelling each word. 36- Cut sticky notes the width of piano keys and put the alphabet on each strip. Spell each word hitting each key on the piano and see what music you create. Spell the word out on a paper and using a rubber band, try and knock a pingpong ball off an upside down cup. This is great fun! 38- Go outside and write in the dirt each spelling word. Who doesn’t love side walk chalk!! My boys like to use a cookie sheets from the dollar store (Not all cookie sheets are magnetized. Test it before you buy it!). 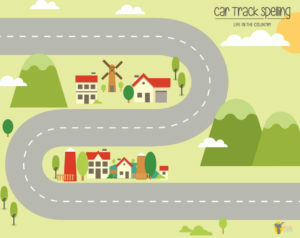 41- Using these Race car printables, spell a word a long the track. Spell a word along the track. Check this post out how to use this free printable in detail! In short glue a magnet to the bottom of a paper car. Using a magnet under the table/white board, guide the car along the track where the word was just spelled. 42- Try to keep hitting a balloon in the air as you spell a word. 43- Blow bubbles after each word that is spelled. 45- Keep a list of spelling words that your kids are working on with you and quiz them as you are driving. We spend a lot of time in the car and spelling words are a perfect thing to do while driving around town, shopping, or waiting in the doctors office. 46- Do a cartwheel, somersault, or roundoff after each word that is spelled. 47- Put tape on a basketball, soccer ball, etc and have them spell the word on the tape. This is fun for your kids who love sports. They write their words on their ball and then kick or pass the ball to you. You check the word and send it back erased if it’s correct. If it’s incorrect tell them the correct spelling out loud and send them the ball again to try again. 48- Put together a puzzle. We pick out a small puzzle and each word that is correct we each get to together a piece of the puzzle. One piece for every correct word. You can doing only 5 words, and repeat those words until the puzzle is done. 49- Create a puzzle with your spelling word. Write a spelling word on a 3×5 card, cut it up and put it back together again. 50- Put tape on a big popsicle stick (There is also white vinyl that works really well for this) and write the spelling words on a stick. Stand on a chair and try to drop the popsicle sticks into a mason jar. The tape/vinyl allows for you to reuse the popsicle sticks over and over again. 51- Play a game of checkers. After each spelling word each player take a turn. 52- With a permanent marker, write your spelling words on rocks, leaves, or sticks. Great to be out in nature too! 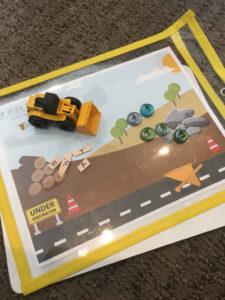 This free printable has you mix all the words up and arrange the letters into words with a construction truck! Lots of fun! With your sibling, have your list of spelling words numbered 1-10 (or however many you have). Take turns rolling the dice and write the word that correlates with the number. Be the first to write all of your words. This is such a fun way to practice words that your kids are struggling with. 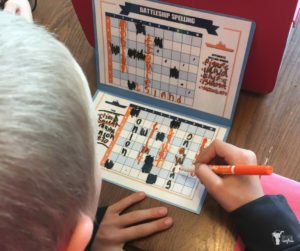 Inspired by the real Battleship game, this is a game that my boys absolutely love. They write their words 3 times and see them continuously throughout the game. This will take you to the free printable that you can print out. Using alphabet clothes pins and a sticky note, write your spelling word on the sticky note and find your clothes pins. Hang up the sticky note using your clothes pins. 56- Put sugar, flour, salt, or sand in a cookie sheet and spell the words in the sand. 57 – Finger paint each spelling word onto a paper. Who doesn’t love finger painting? Have your child text their spelling words to their dad! Great way to have dad involved as well! Using your phone have them take a video of themselves “teaching” their spelling words to a group. They can either spell it out, or say them out loud. It may be fun to have them use that word in a sentence. We have done many of these interactive spelling activities and my boys love to do them. I hope this gives you lots of ideas for you and your kids! Learning should be a part of your life and should be something that is enjoyed instead of something you have to do. Good luck Mama! !